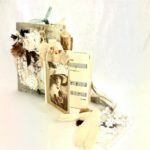 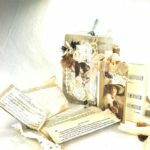 On the cover of this Handmade Junk Journal there is a beautiful vintage style image of a mother and daughter embracing. 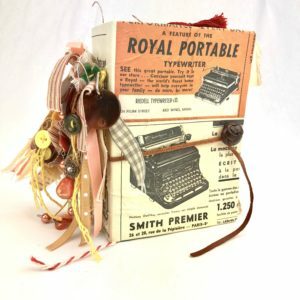 It’s just so sweet. 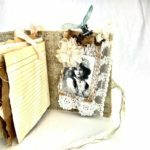 The image is embellished with layers of vintage lace, silk, doilies, book paper, button and a gorgeous key and clover metal charm. 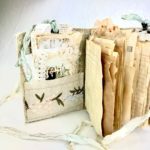 Mother and Daughter Junk Journal is made out of an upholstery material with card in between the layers and then machine sewn around the edges. There is a beautiful vintage style image of a mother and daughter embracing on the cover. 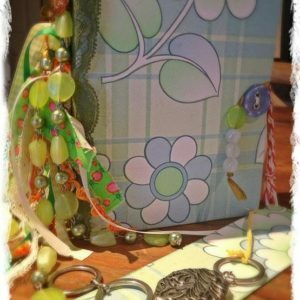 It’s just so sweet. 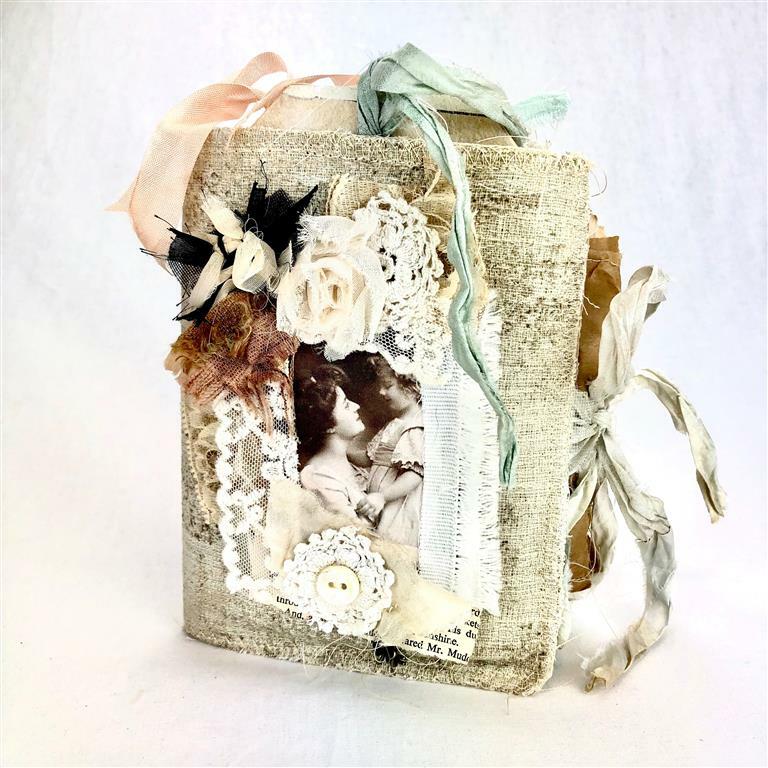 The image is embellished with layers of vintage lace, silk, doilies, book paper, button and a gorgeous key & clover metal charm. 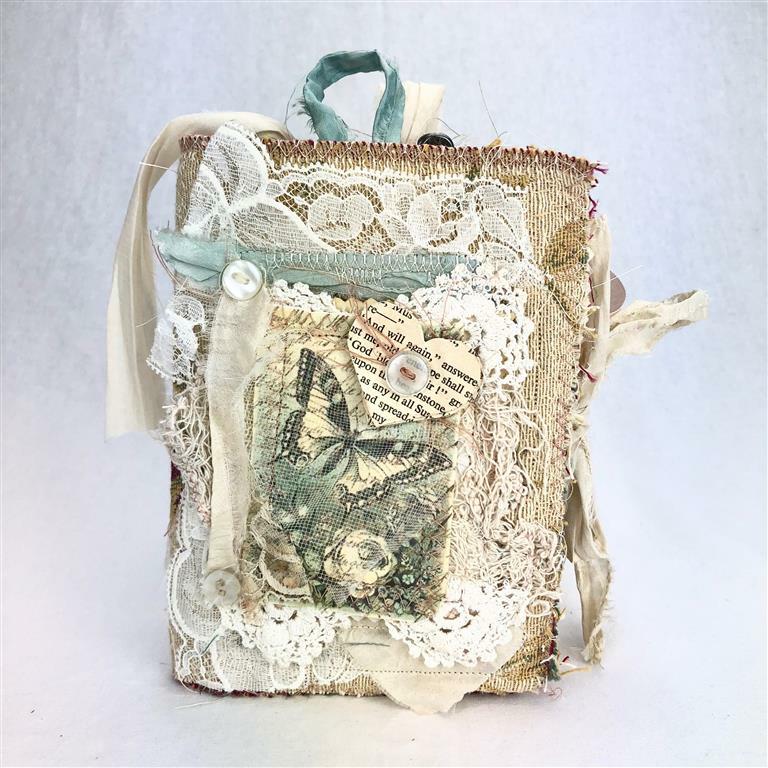 Inside the Junk Journal is a beautiful pocket made out of the most gorgeous embroidered trim, creating a pocket. 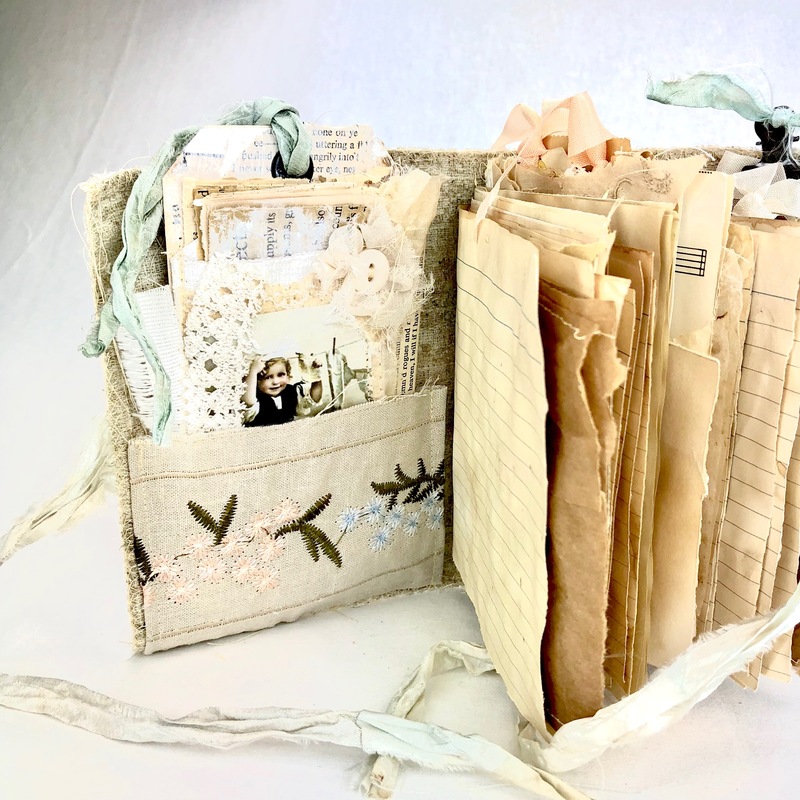 Inside the pocket is a handmade tag that opens up as a Journal space. 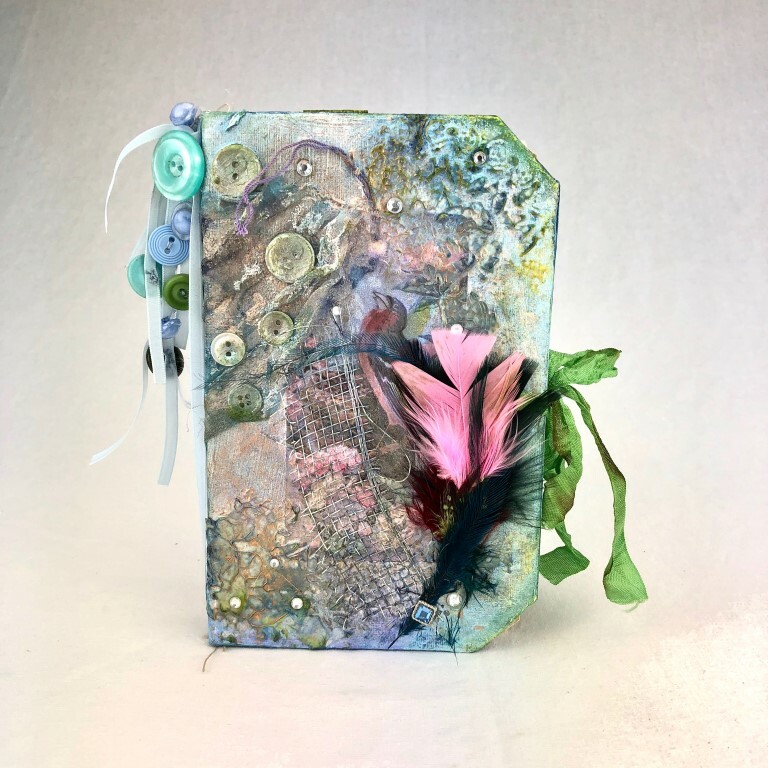 Also enclosed is a handmade envelope with another journaling card. 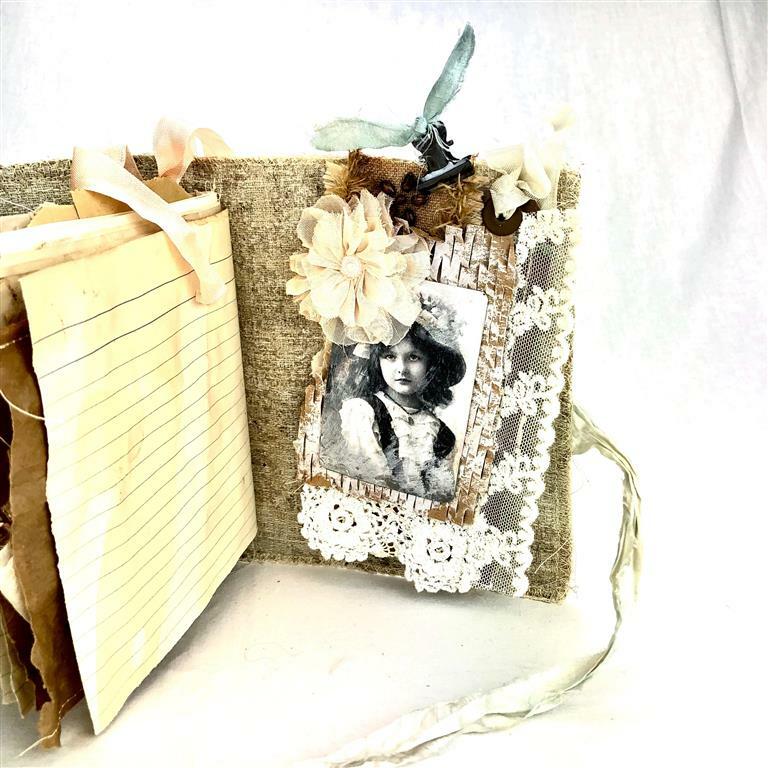 There is also a little handmade note book with an image of a young lady on the cover, embellished with a little lace, and paper trim tucked away in a pocket. 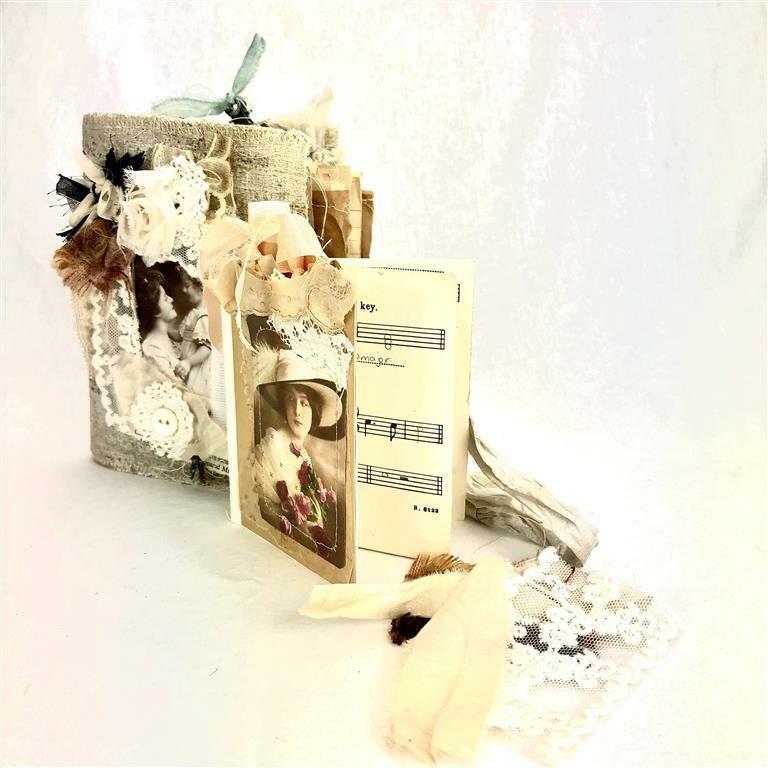 The pretty Journal card at the back is also embellished with antique lace, a little silk trim and a pretty cloth flower. 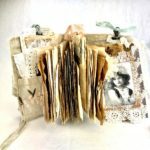 All of the Junk Journal pages are of different sizes and textures and are all coffee or tea dyed then baked in the oven to create that vintage style and charm. 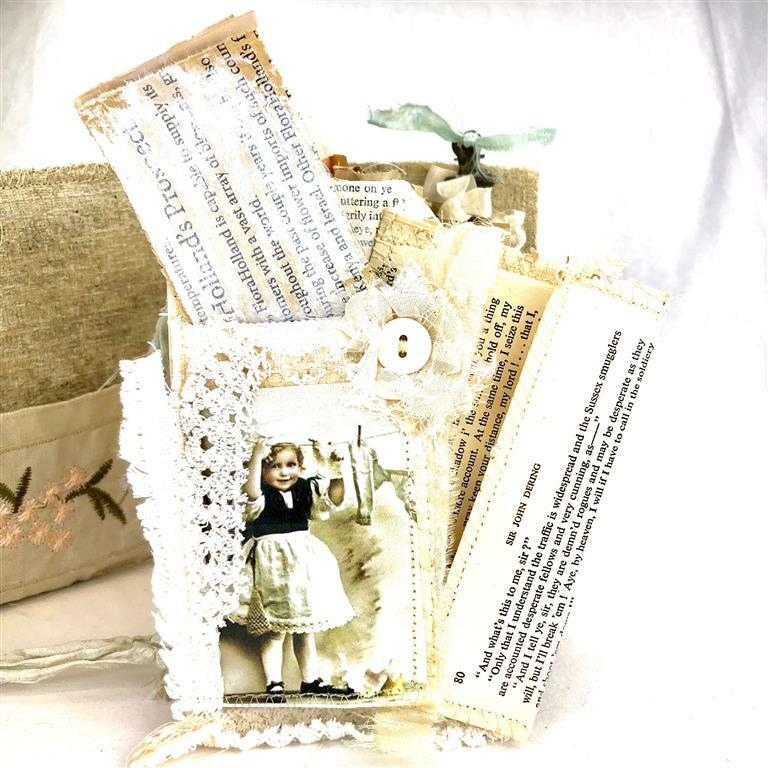 This would be a perfect gift for yourself or any mother or daughter. 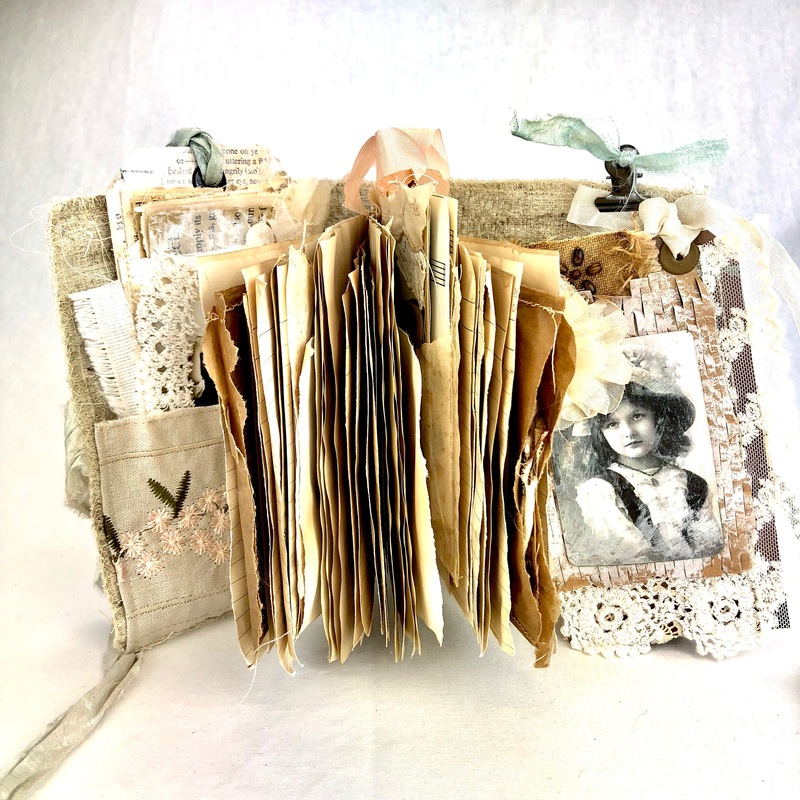 All their cherished memories old or new can be safely hidden away by the lovely silk ribbon that ties them all up.